I had such a fun time pulling together my gift guide last year, I’ve decided to do it again! The holidays are absolutely a time for indulgence - flutes of champagne, chocolate…MORE chocolate. And it’s also a time when people don’t feel their best. Colds and flus from air travel, bloated tummies from holiday food, hangovers. It’s enough to make you want to hibernate until Spring! So I’ve curated a list of my ways to give your loved ones the gift of health and wellness during this manic holiday season. And don’t forget a little something for yourself, you deserve it too! Not only is this some of the most perfect tasting and beautiful chocolate you could ever bestow to chocolate lovers, but each bar of artisanal chocolate is 2 servings of THC-free (aka non psychoactive) CBD. How is GrönCBD different??? GrönCBD is absolutely pure, containing no heavy solvents, toxins, or pesticides which commonly plague cannabis or hemp-derived CBD. Plus, there is virtually zero waste and a negligible carbon footprint compared to agricultural-based CBD made from cannabis or hemp. 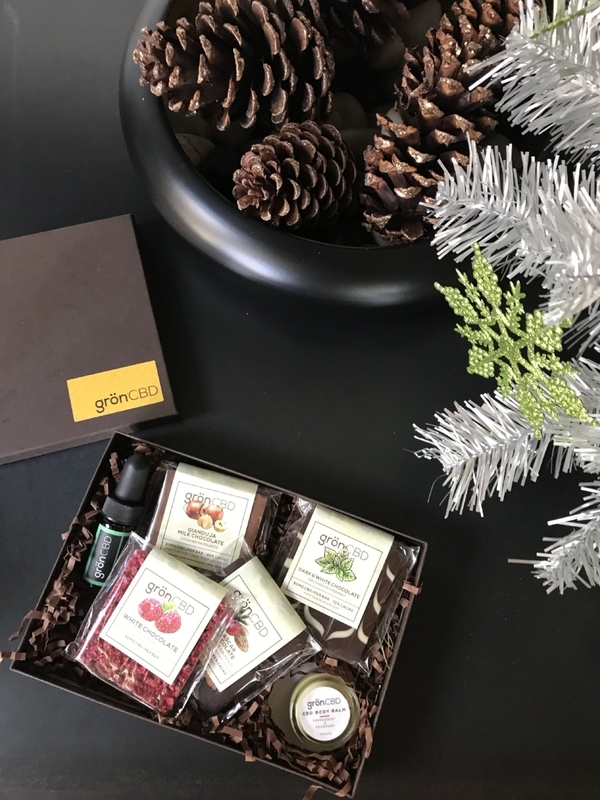 This gift box with chocolates, tincture and balm is what I’ll be gifting this holiday season. Have a friend or colleague new to using collagen peptides? Perfect as a stocking stuffer, a holiday gift exchange, or just as a little something extra special for your mom or bestie, the Vital Proteins Holiday Sampler Box is so cute AND comes with 5 of everyone’s favorite Vital Proteins Stick Packs! The Collagen Creamer is a travel ESSENTIAL for me. Collagen can help support healthy hair, skin, nail, digestion, bones / joints, and muscle recovery, and hydration and nutrition are key during this busy season. In fact, it’s a great gift to get yourself if you’re on the go this holiday season! For recipients of larger gifts, I’ll be pairing this with tubs of the Original Collagen Peptides. As an environmentalist, a health advocate, AND someone who needs water with them at all times, I am always looking out for environmentally-friendly portable water solutions that are also chemical free (aka no BPAs please!). I included Healthy Human steins and tumblers in my 2017 gift guide, and am including them again here along with the best gift I ever got this entire year - the X.Straw Foldable Metal Straw! 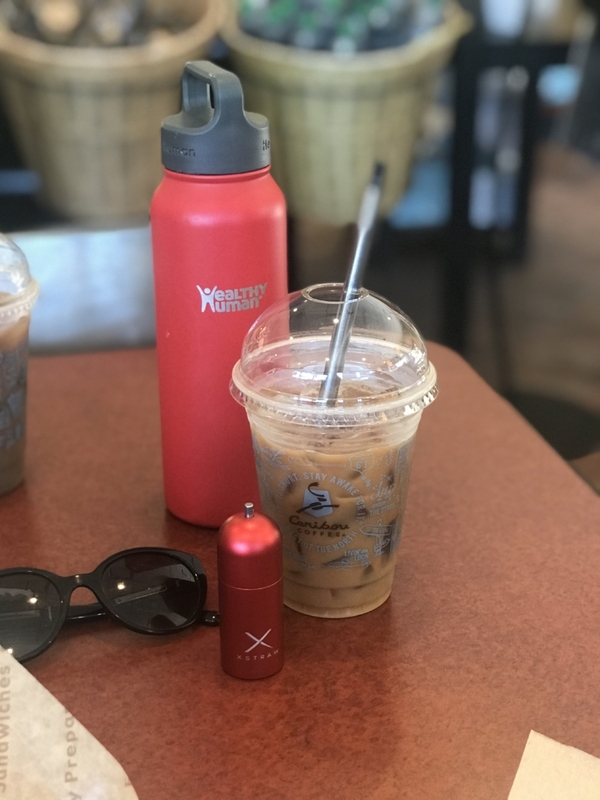 This Foldable Metal Straw comes with it’s own thumb-sized portable cylinder case and a teeny tiny little cleaning brush! It’s an absolutely brilliant concept and these two items go with me everywhere I go whether it’s a week-long trip, or just a day of running errands. While I haven’t been able to entirely eliminate plastic cup consumption entirely from my life, no longer using plastic straws makes me feel like I’m contributing a little bit ever day to keeping our waters cleaner. Also, you can get 15% off all Healthy Human purchases site-wide with the code ‘HEALTH15’! Trying to find healthy vegan snacks to travel with during the holidays can be a challenge. And don’t even get me started on finding something to snack on while holiday shopping. It seems like everything is either high in sugar, high in sodium, not really nutritious, or some combination of the three. 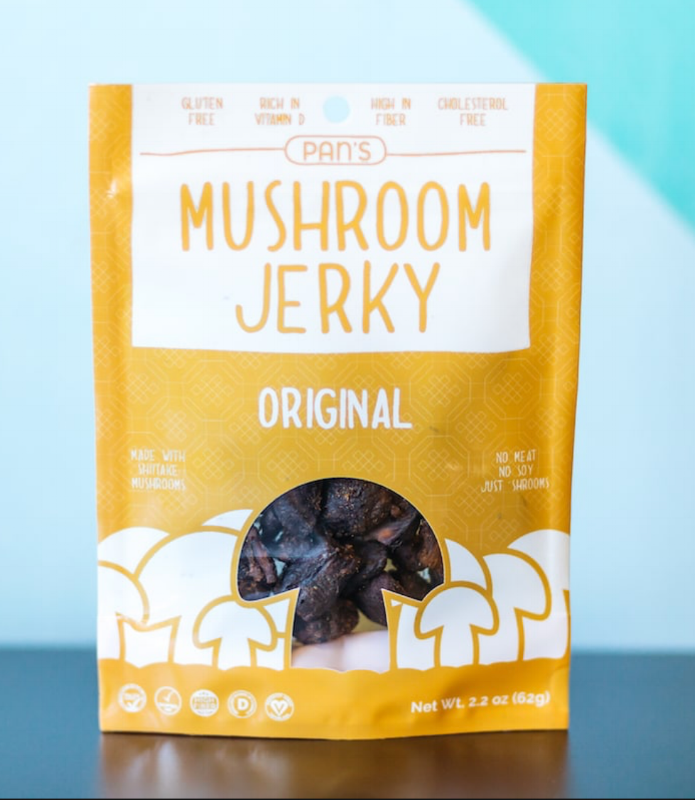 I was THRILLED to have discovered Pan’s Vegan Mushroom Jerky this year! This mushroom jerky snack is vegan, gluten-free, low in sodium, low in sugar, packed with anti-oxidants and immune boosting shiitake mushrooms, made with ORGANIC INGREDIENTS, and it’s the best tasting snack I have ever had. No joke, I can clear a whole bag in about 10 minutes flat. All four flavors are super good, but my absolute favorite is the Sea Salt & Pepper. It’s Lulu, and it’s available on Amazon Prime. Need I say more? I’m obsessed with this bag! Perfect for the gym or short stays with family over the holidays (or a quick weekend getaway getaway hint hint! ), this bag checks ALL the boxes. The durable exterior fabric is water repellent and easy to wipe clean. Straps along the bottom of the bag securely fits most yoga mats. Removable shoulder strap. Removable heat resistant pocket for your hair straightener. Padded pocket for your laptop or tablet. Interior wet/dry pocket and removable laundry bag keep sweaty gear separate and keep your essentials organized. This is one you definitely need to be purchasing as a gift AND for yourself!